I know, I know…where are my Friday Finds? I have been a neglectful web shopper this week, friends. Well, that’s not true…but I’ve been buying boring house things like vacuums and new drinking glasses. Riveting fare, no? 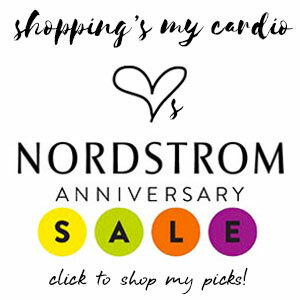 I did raid the Nordstrom Anniversary Sale, as predicted…and for those of you that are non-cardholders, you’ll be getting your shop on this morning as well! Be sure to check out my picks…I bought a few too many of them (that little short-sleeved Halogen sweater is awesome! ), and tell me what you bought! I do love a vicarious shopping spree. All of that to say…instead of Friday Finds, I have one fantastic new beauty find for you. Sunscreen…I just can’t get enough. But you know, it’s not that fun to apply, particularly to RE-apply ad nauseum when you’re outside all weekend, as every single expert tells us we must. Even the best of sunscreens can get a little greasy and unappealing. So, how’s this for genius? Peter Thomas Roth Instant Mineral SPF 30 (there are others, but this is my personal fave). It’s a brush that contains a built-in mineral sunscreen! Keep it in your purse, it doesn’t leak, and when you need a touch-up, you get it seamlessly! No oily sheen, no chalky white residue, and no breakouts. With an added bonus of covering up that “glow” you’ve developed on your afternoon hike. It’s officially made it to permanent-resident status in my makeup bag, supplanting my pretty Chanel compact. Pretty is great and all, but I can’t resist a multi-tasker this awesome. It also happens to travel perfectly…no liquids to declare! Nab one soon…I had to check three online stores to find you one that wasn’t sold out. And have a fantastic weekend, everyone…see you back here on Monday! This entry was posted in beauty and tagged peter thomas roth on 20 July, 2012 by shoppingsmycardio.